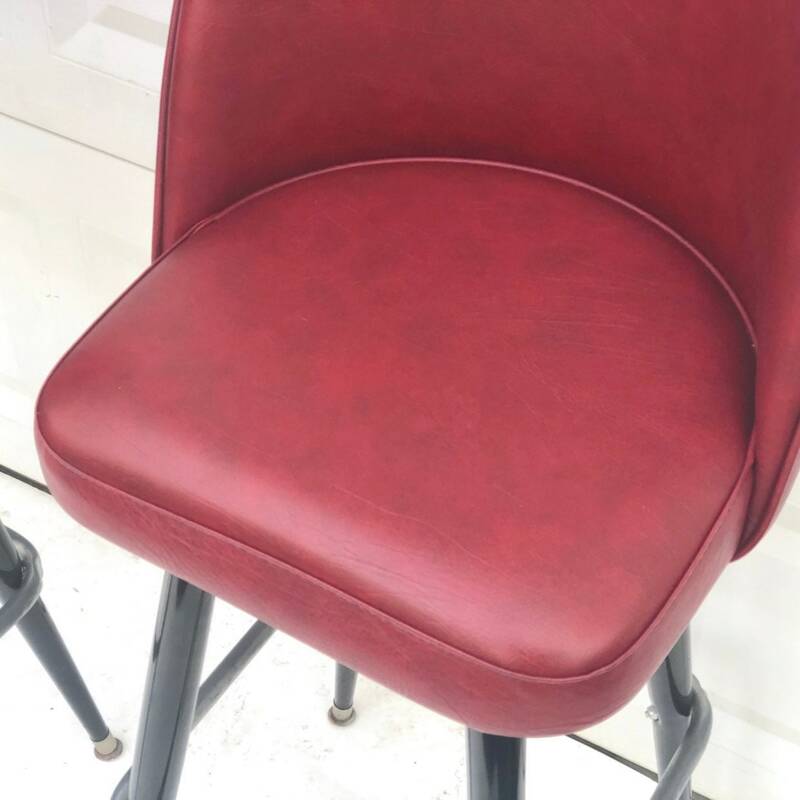 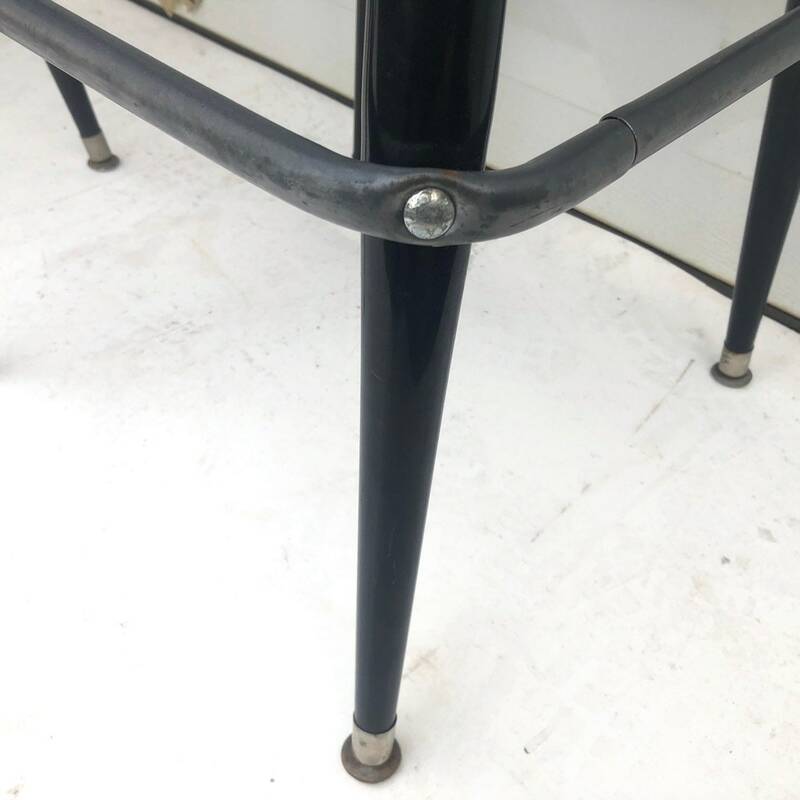 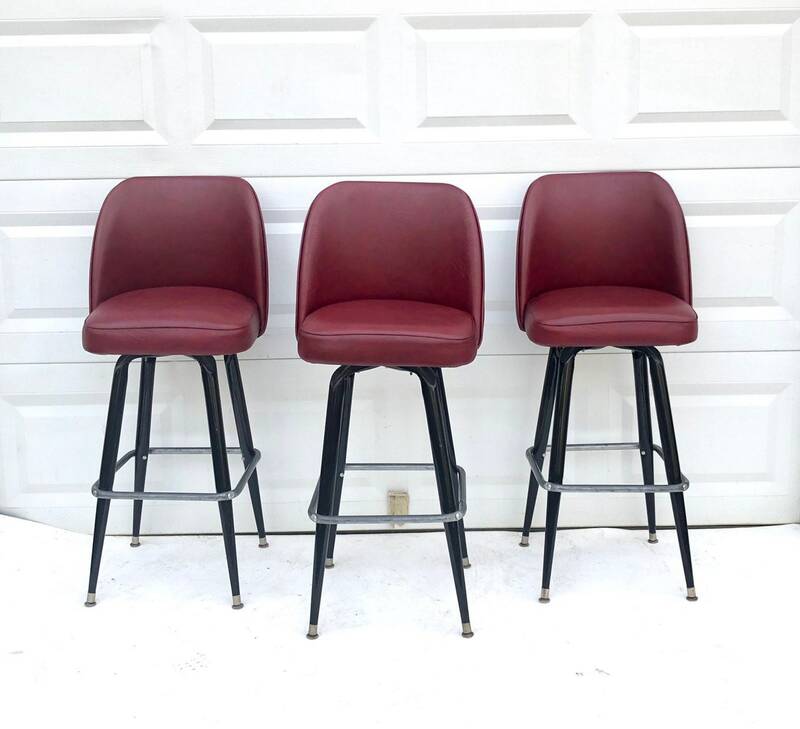 Stylish set of mid-century modern bar stools features quality vinyl seat covering and sturdy swivel bases. 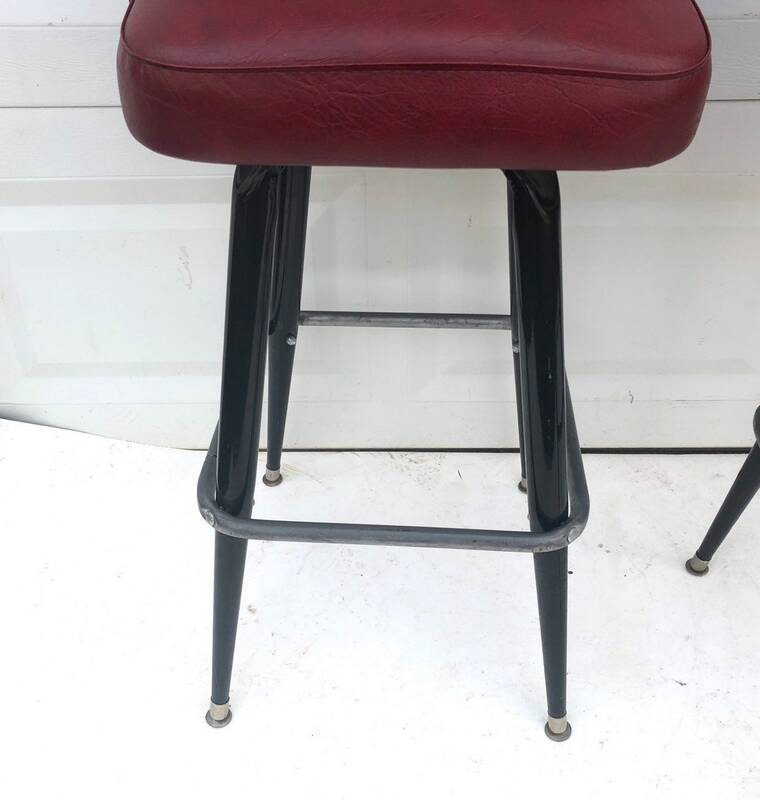 Steel foot rest bar adds stability and comfort for home or business bar seating. 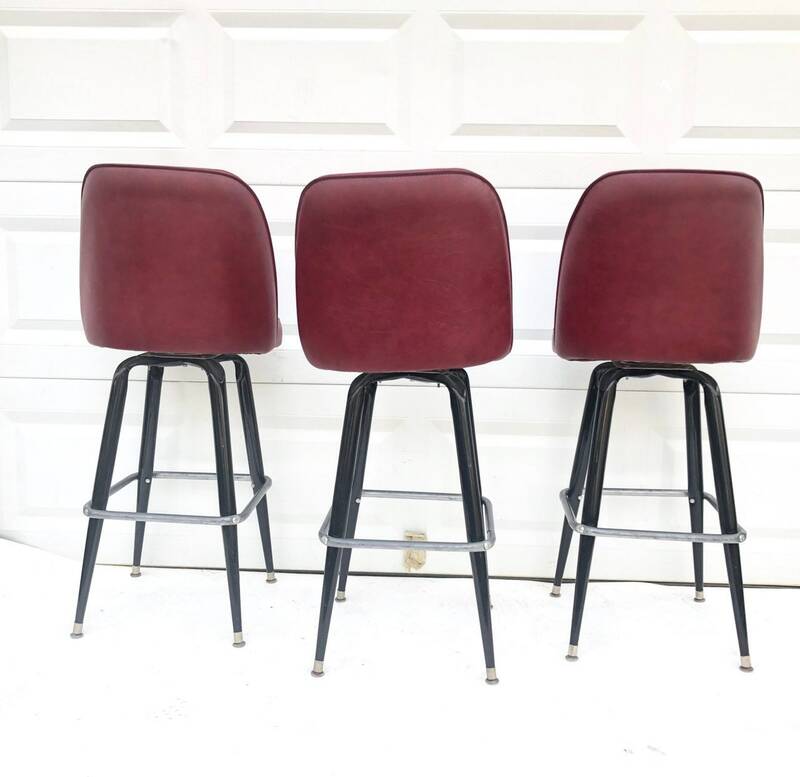 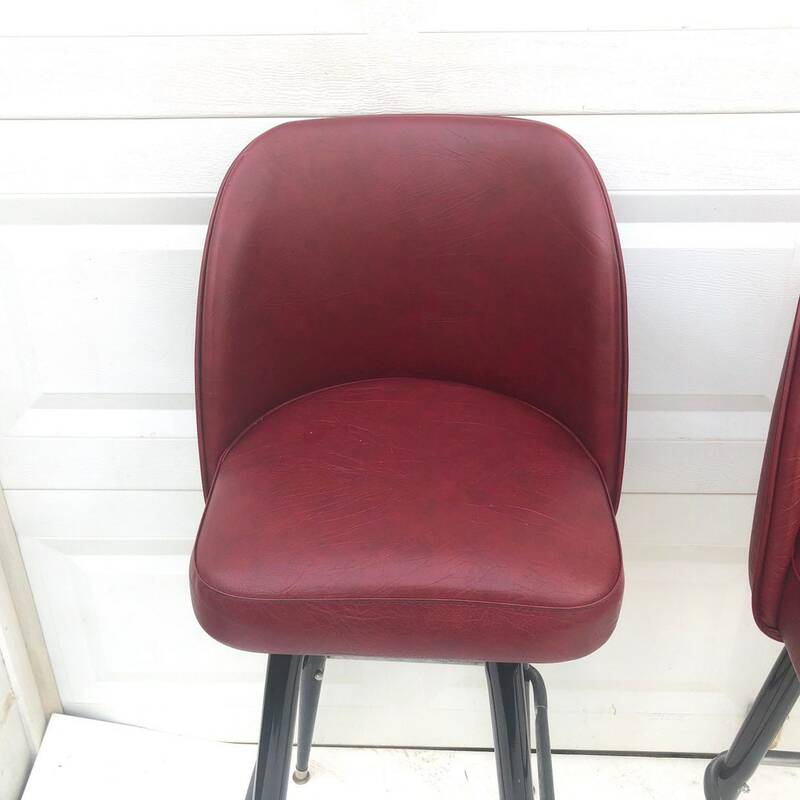 Padded semi-rounded seat backs make these the perfect mix of vintage style and timeless comfort. 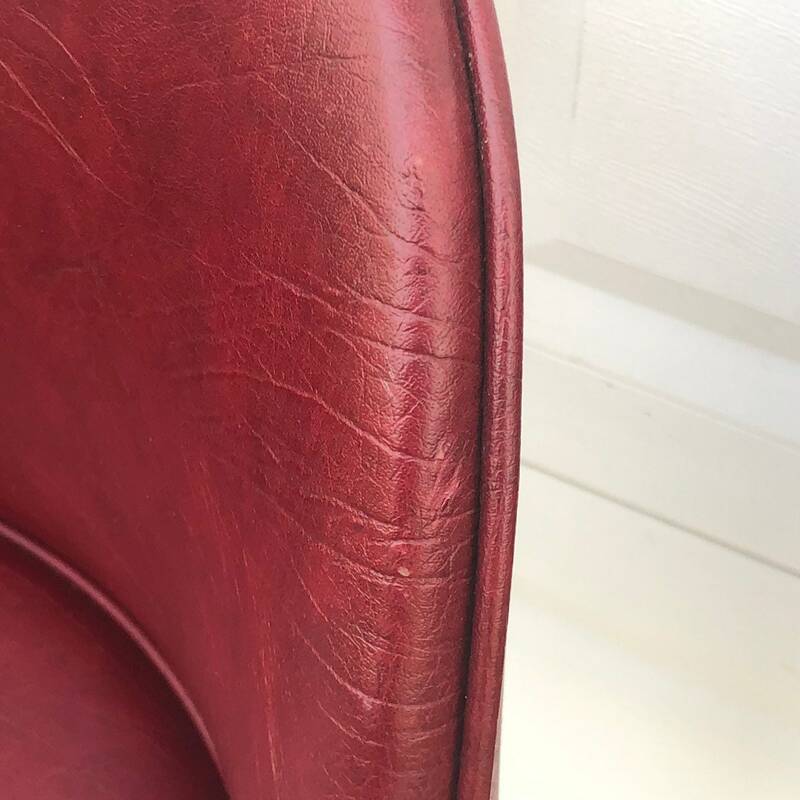 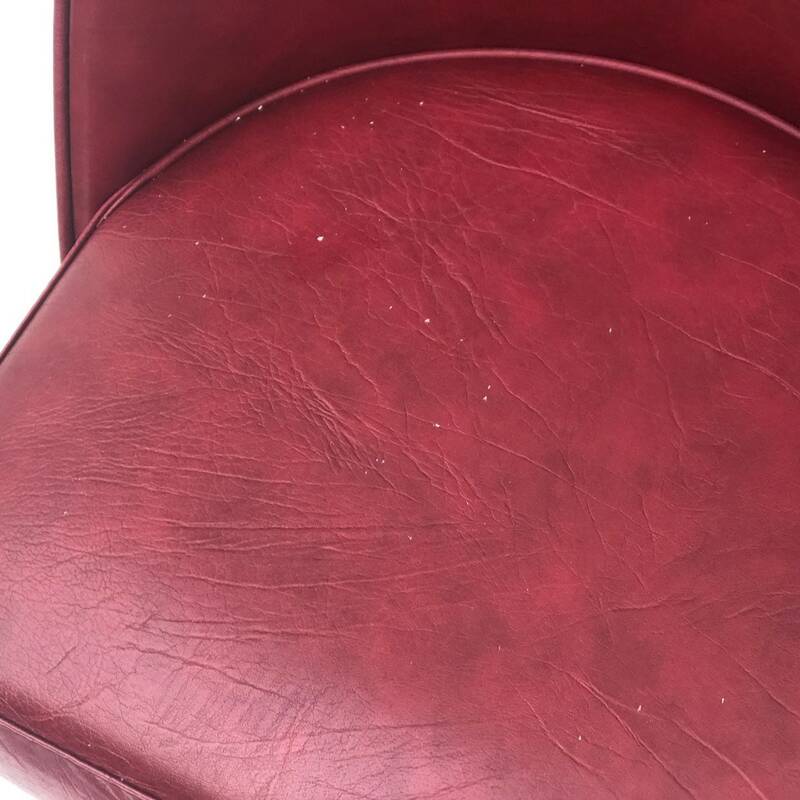 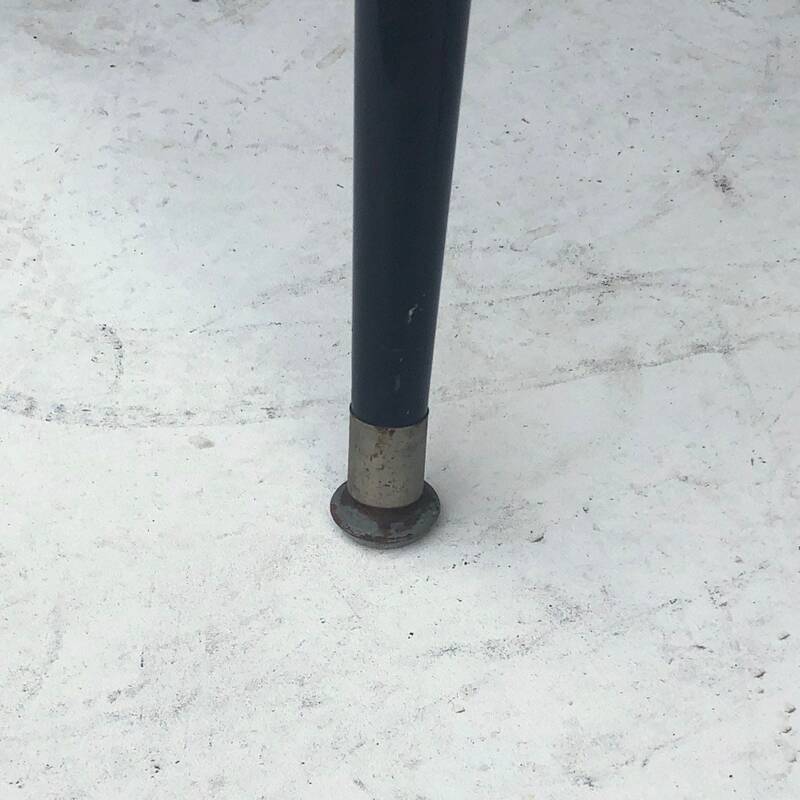 Condition: age appropriate wear, vintage finish worn in areas, some scuffs/oxidation, edge wear, minor scuffs/blemishes on vinyl. 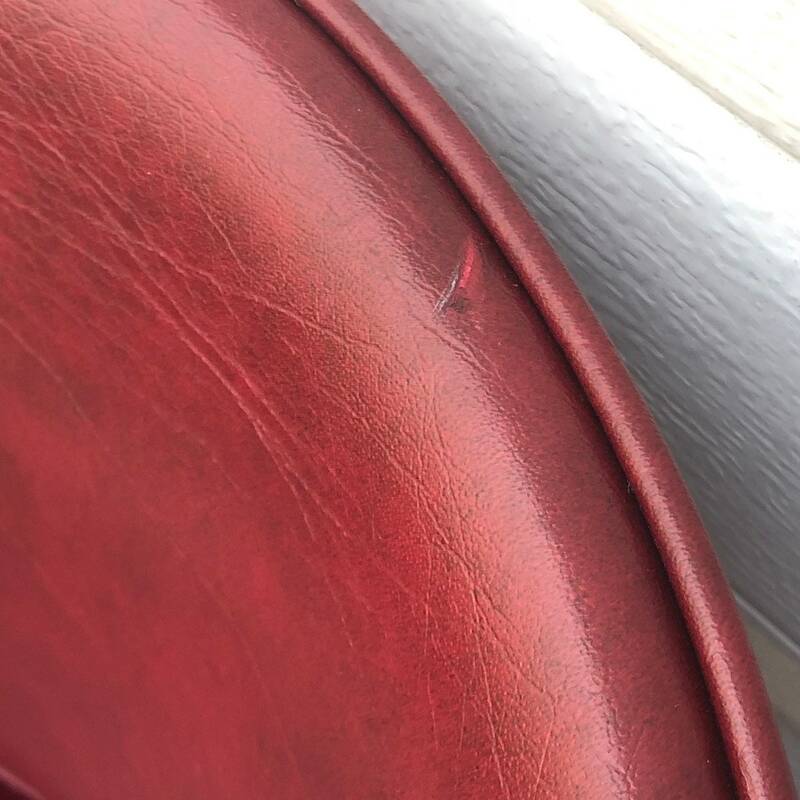 Shipping: Shipping quoted is a PLACEHOLDER- please contact seller with zip code BEFORE purchase for a personalized shipping quote.